On the 25th of May 1963, the Organisation of African Unity (OAU) was born. 32 newly independent African nations convened in Addis Ababa Ethiopia in solidarity for decolonisation and the advancement of Africa. Africa Day commemorates this momentous and historic occasion which left a legacy built on African unity in order to see Africa flourish once more. “Africans share a common history and therefore a common destiny” –Marcus Garvey. With a common history and destiny African independence was not an individual nations liberation struggle but a Pan-African endeavour. Under the OAU African nations collectively rose up to defend African sovereignty, eradicate colonialism and give Africa a brighter tomorrow. The OAU’s vision for Africa was clear, African unity in order to excel. The AU has gone further in fostering African Unity with the inclusion of the Diaspora Division. Here, “communities throughout the world that are descended from the historic movement of peoples from Africa — predominantly from the Americas, Caribbean, Europe and the Middle East, among other areas around the globe” are encouraged to contribute to the development of Africa and the AU. Actively bridging the gap between Africa and the Diaspora. Though our beloved Africa is far from perfect however, in line with AfricanPostmark’s ethos we want to reclaim our narrative and bring balance to our story as African peoples. Growth in spite of adversity, resilience and strength we Africans globally exhibit everyday should be celebrated and this energy harnessed into continually building a brighter future for Mama Africa. Africa day commemorates the triumph over colonisation and remembers those who struggled to achieve this. 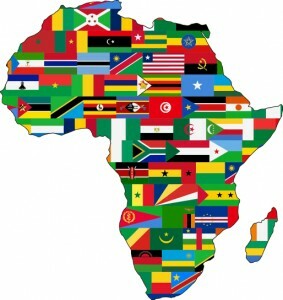 Happy Africa Day to all Africans on the Continent and the Diaspora, continue to strive for #theAfricaWeWant.